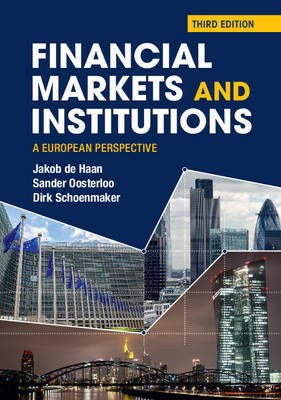 Written for undergraduate and graduate students of finance, economics and business, the third edition of Financial Markets and Institutions provides a fresh analysis of the European financial system. Combining theory, data and policy, this successful textbook examines and explains financial markets, financial infrastructures, financial institutions and the challenges of financial supervision and competition policy. The third edition features greater discussion of the financial and euro crises, including extensive analysis of their causes and impact, as well as their remedies. New material covers unconventional monetary policies, the Banking Union, the Basel 3 capital adequacy framework for banking supervision, macroprudential policies and state aid control applied to banks. The new edition also features wider international coverage, with greater emphasis on comparisons with countries outside the European Union. Visit the companion website at www.cambridge.org/de_Haan3e for password-protected PowerPoint lecture slides, solutions, figures and tables for instructors, and exercises for students.